Clarissa Doutherd is the type of candidate Oakland Rising Action is thrilled to endorse. A former house-cleaner and homeless mother of her now 11 year old, Clarissa shines in her work and commitment to community as the current Executive Director of Parent Voices Oakland. She was recruited as a parent leader to Parent Voices, where she developed a passion for community organizing, and brings a proven track record in delivering mass mobilizations for anti-poverty initiatives. Clarissa has been a strong advocate for mothers like herself who were caught in the crosshairs of ineffective public policy. It is this lived experience that propelled Clarissa into the public arena. As the Co-Chair on the Alameda County Early Childhood Policy Committee with First 5 of Alameda County, Clarissa led efforts to refocus the group to become a cross sector collaborative which brings together community based organizations, parents and service providers to advance innovative strategies for County-wide systems change; and develops leadership pipelines for families to have increased influence and decision making power in City and County policy-making. Clarissa has a strong analysis of OUSD, systems change, and systematic approaches to the issues that plague our district. 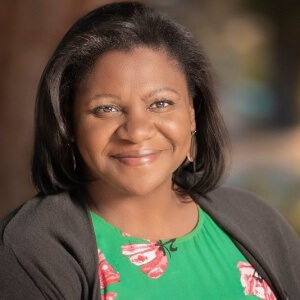 Clarissa brings experience in making tough financial decisions that are based on her core values of inclusion, equity, and high educational achievement for all young people in Oakland and beyond. OUSD needs new voices and true representation for families more than ever after the state takeover and ongoing cuts to our kids’ education. She is a part of Lead East Bay and was pre-vetted based on her values, and racial, economic and environmental justice lens. Clarissa Doutherd is exactly the kind of leader for which Oakland Rising Action is looking. She has our sole/soul endorsement for District 4 School Board Director.